Multi-Percussion is a fantastic musical medium that can invite equal creative energy from both the composer and performer. Below are three ideas I like to be mindful of. 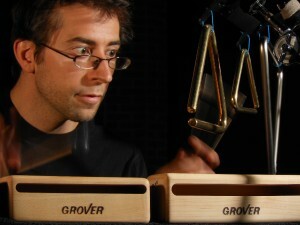 Consider what multi-percussion is. The composer is asking you to combine several different percussion instruments to create something new, a hybrid instrument. A snare drum alone has its own voice, identity, and function, but when combined with a high-hat, bass drum, tom toms, and ride cymbal, it becomes part of a communal collective, its roll (no pun intended) changes. Like drumset, the combining of multiple percussion instruments should create a new “social order” among the chosen group of instruments. Give the music direction. A tonal melody has a built-in automatic guide for direction made up of “Do-Re-Mi-Fa-Sol-La-Ti-Do.” Each one of these pitches has a relative function. Composers and performers use this to shape their melodies and give the music direction. In a multiple percussion piece with no pitched instruments, this eared, directive guide does not exist. We, the performers, must show the listeners what our guide is, what the instruments’ relationships to each other are. Because our ears are not built to hear a guide within non-pitched instruments, we must put extra care in showing what musical material is important. With this goal in mind the performer can make inspired decisions about phrasing, melody, shape, and form. Make it easy on yourself. Take great care in instrument choice and setup. When choosing instrument placement, consider the technical demands of the entire piece. Be sure to thoroughly look over the entire score before committing practice time to your setup. Choose your mallets/sticks for an optimal sound on every instrument. Again, you want the instruments to sound like a collective, a community, a new hybrid instrument, not a series of random sounds. Making this happen can be helped greatly by the right mallet and/or stick. Learning a multi percussion piece means learning a new notation key. Spend time practicing the key outside of the score. On blank staff paper randomly place note heads within the notation key, no rhythm, just note heads. Practice your random creation slowly, as this will help you learn the instruments on the staff more quickly. Now when you practice the actual score you can focus on musical challenges rather than reading challenges. Casey Cangelosi is a rising composer and percussionist in the contemporary music world. Casey has been called “the Paganini of percussion”, his technique deemed “ridiculous… he has a stunning command of the marimba”, his compositions hailed as “imposing and exhilarating”, and by the Classical Marimba League, “A marimbist of magisterial power, and insight”.